← What Makes You Feel Wealthy? Everyone uses social media these days, and it has it’s detriments. Partially because of social media, we are on our computers and away from reality more and more. Social media creates jealousy and feelings of inadequateness among peer groups. Through social media, standards are set unrealistically high, due to the ability of it’s users to doctor their image online to how they’d prefer to be presented. Though there are many downfalls to the role that social media has played on our society, it also has tremendous power. It has the ability to start a movement, spread a message, or build a business rapidly. It connects people from all different walks of life. It can also be very helpful in a career, if used correctly. I work in Human Resources. I am involved in many professionals misusing social media, which can be very damaging for a career. I’ve heard of people being fired for gossiping about their boss or a client over Facebook. Some people have blogged too much about their professional life, much to the chagrin of their employers. We hear about these cases more often than we hear about the good things social media can do for your career. Believe it or not, social media can help people advance in their career, when used properly. 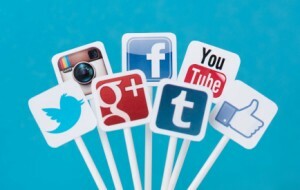 Social media makes benchmarking much easier. Never before has it been so simple to gather data about wages, professional development, career advancement and the competition. Social media can be used to find out what the successful members of your field have done to advance their own careers; it can be used to find out how much you’re worth when you are evaluating a job offer. Recently, I’ve been considering taking my career one step forward with some professional development, but I wasn’t sure what to take to help me advance. A mentor of sorts had suggested I go onto Linkedin and look into the certificates and programs that other professionals in my field have taken. I was able to evaluate which of my peers had taken paths that I would be interested in, and see what they had done to get there. Because of my field, I was sent to a seminar about social media in recruitment. The seminar discussed the ability for job seekers to access information – good and bad – about the organization. There are some social media websites that focus on the hiring process of companies, allowing users to post interview questions that they were asked, and even timelines for the decision process when the are being screened for a job. Utilizing social media is a great way to decide whether you are interested in working for a company, too. Look up the company name on Twitter, Linkedin, and Glassdoor to see what conversation is being had about the organization. It’s important to ensure that you like the company that you work for. When I interviewed for my first internship, I researched the company on social media before I went for my interview, and then “Liked” the company on Facebook and followed them on Linkedin and Twitter. This is such a small action, but the interviewers told me that they had noticed that I had done so and that they appreciated the support. I was offered that position, and while I doubt that is the reason why, my supporting the company on social media showed my interest in the organization which is a nice tie breaker. I can’t imagine having to network before social media. I find it so much easier to keep track of everyone and up-to-date with the members of my network with sites like Linkedin. Social media allows you to see whenever somebody gets a promotion or changes a job, and helps you keep those connections strong. Your network can do a lot for you during the course of your career, so it’s important to maintain it. Do you use social media to advance your career? I used linkedin and I find it to be a really great tool for professional networking. I haven’t had to use it to find a job, but I’ve received emails from head-hunters looking for someone with my qualifications to fill the role. Social media is a great way to let a company know you’re out there before you apply. By following the company in twitter/facebook it gives you great talking points and background on the company for a potential interview as well!